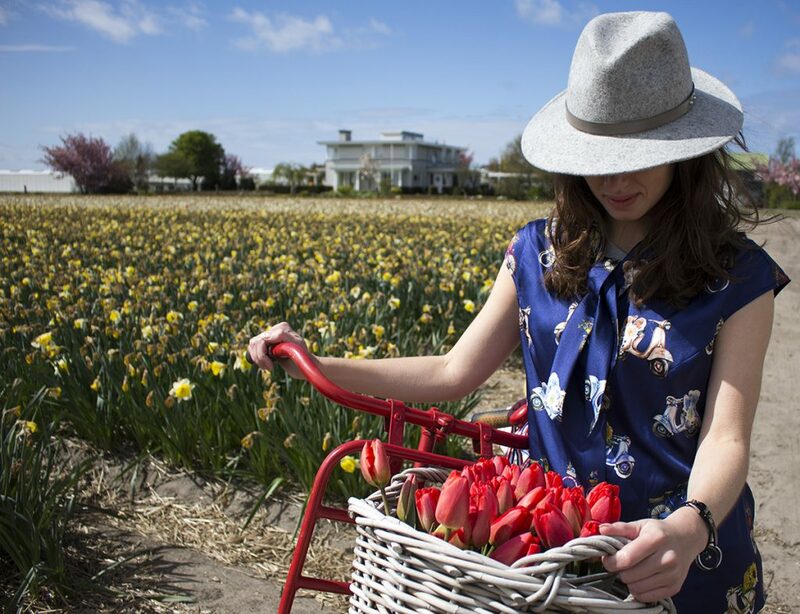 As you might have already guessed, we went to the Netherlands during the blooming season with the precise idea to capture this amazing blouse in the tulips fields (and ride bikes in between the shooting). 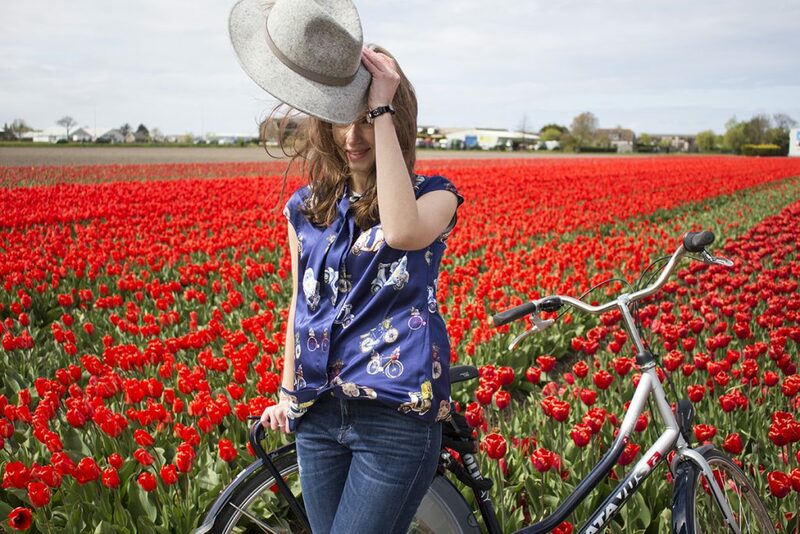 Nathalie : Once we found this beautiful silk (bikes and tulips print) we can’t stop thinking about going to Holland to shoot the clothes in the tulips fields. Spontaneously we planned the trip and landed in Amsterdam. 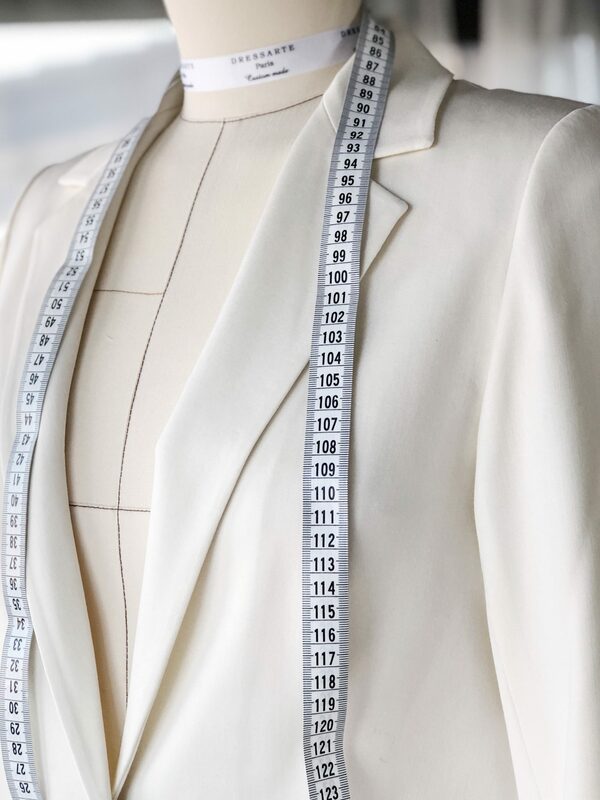 What are 3 pieces of clothes to bring on a visit to the Netherlands? Nathalie : It actually depends on the season you’re visiting the country. As a rule, the weather is quite changeable, it could be sunny and after some time the sky is covered with clouds and it starts to rain. I think, one should pack a nice blouse, a pair of jeans and a jacket (I’m not mentionning an umbrella). 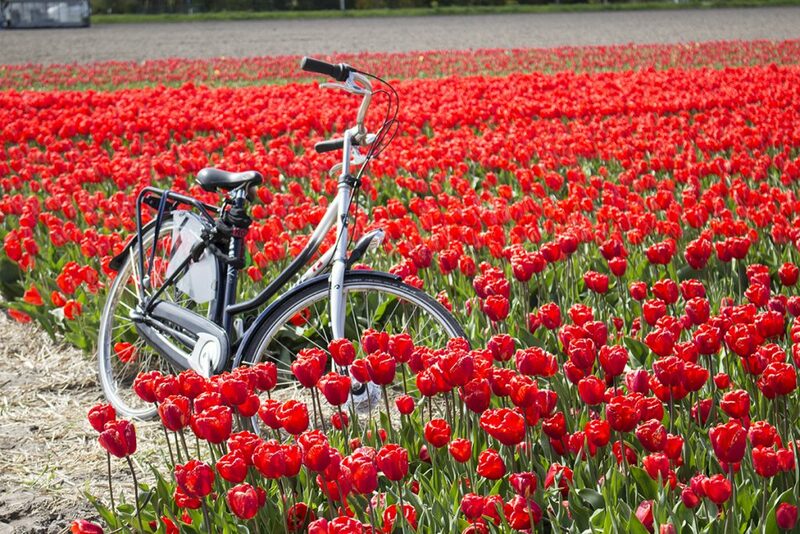 Any places that you particularly like in Holland? 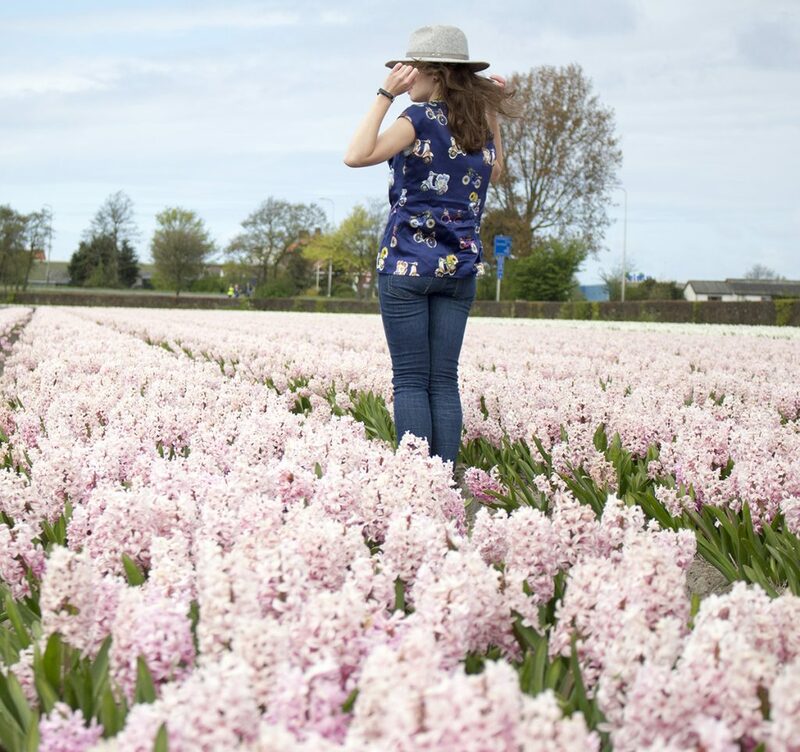 Nathalie : Many places actually…We fell in love with extremely beautiful Keukenhof garden with thousands of tulips blooming! 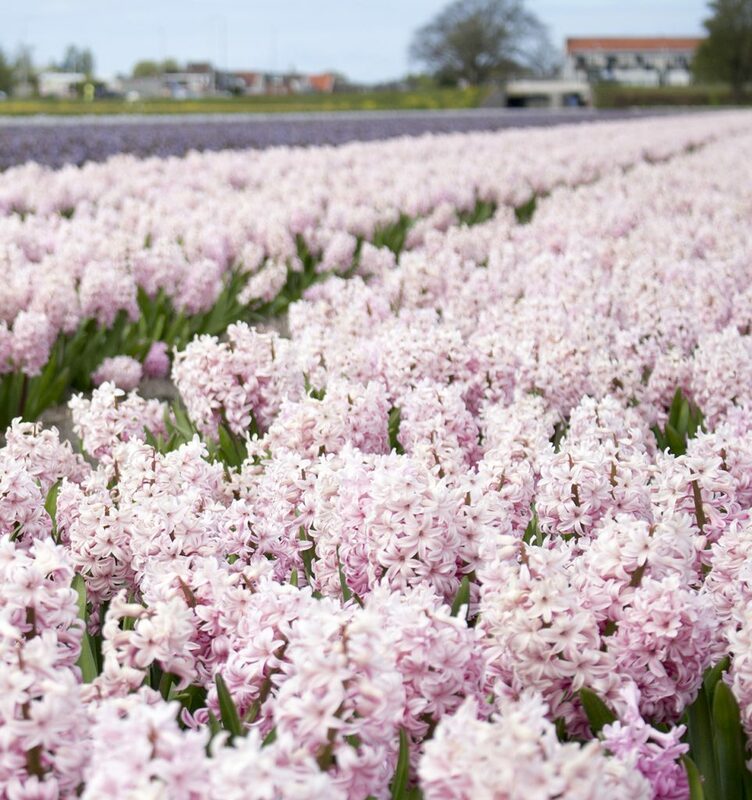 Apart from this, the exceptional flower parade Bloemencorso Bollenstreek has stolen our hearts. 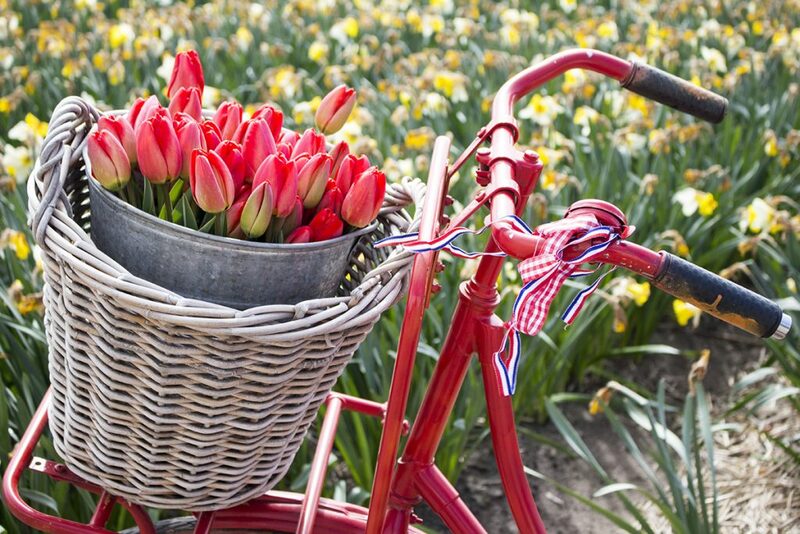 But biking the bulb fields was unforgettable experience!